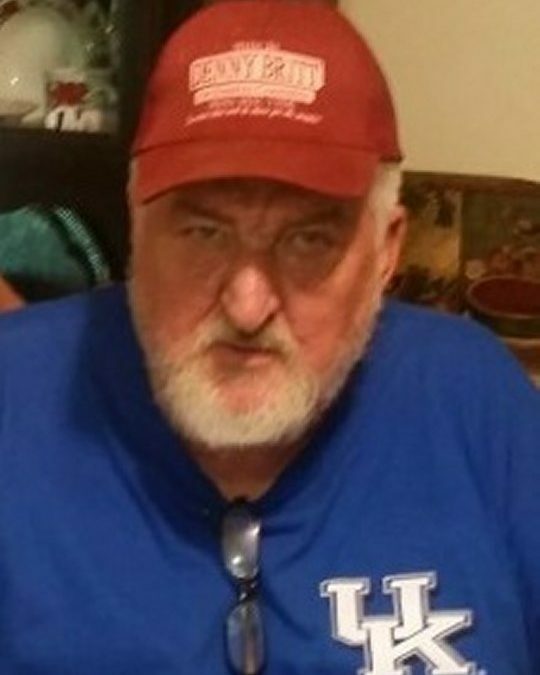 Robert Lee “Hippie” Burton, age 67, of Nancy, Kentucky, passed away on Sunday, August 12, 2018 at his home. He was born on July 19, 1951 in Nancy, Kentucky, the son of Verneda Britt Burton and the late William “Billy” Burton. He was employed by Rental Uniform and a graduate of Nancy High School Class of 1970. He enjoyed his racing career in the Chevette class where he won several races. Lake Cumberland Speedway was his home track. He started driving in the Chevette class in 1998 for his brother Ronald Burton and his sister-in-law Doris Burton Crabtree. He had a great time racing against his nephew Rodney Burton and many other friends. “Hippie” loved spending time with his family and his dog “Tobie”. He also enjoyed farming, driving a tractor and caring for his cows and horses. He will be sadly missed by his family and friends. He was preceded in death by his father; William “Billy” Burton, one brother; Ronald Burton, and his grandparents; Oval and Ollie Britt and Elwood and Audie Burton. He is survived by his wife of forty years; Brenda Compton Burton, one daughter; Alisha Michelle Burton; a granddaughter; Marial Burton, all of Nancy, his mother; Verneda Burton and his uncle; Dennis (and Lorene) Britt of Florida. He is also survived by Denny (and Janie) Britt, whom was like a brother to him, and also a special nephew; Rodney Burton of Somerset, along with several nieces and nephews. Visitation will be at 11:00 a.m. on Wednesday, August 15, 2018 in the Chapel of Southern Oaks Funeral Home with funeral service to be held at 2:00 p.m. on Wednesday at the funeral home with Bro. Gary Wilson officiating. Burial will be in the Lee Cemetery in Nancy. Southern Oaks Funeral Home is entrusted with the arrangements for Robert Lee “Hippie” Burton.